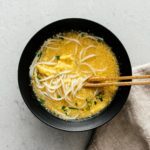 Warm and comforting egg drop soup – the perfect quick and easy light soup for those cold winter days. 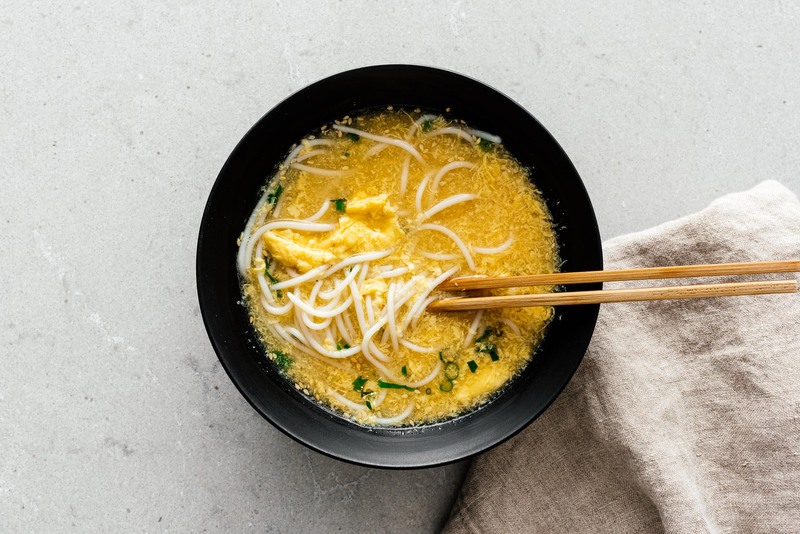 Are you an egg drop soup fan? I absolutely love it. It’s so comforting and cozy and warm and delicious. And the best part is that it’s super simple to make. 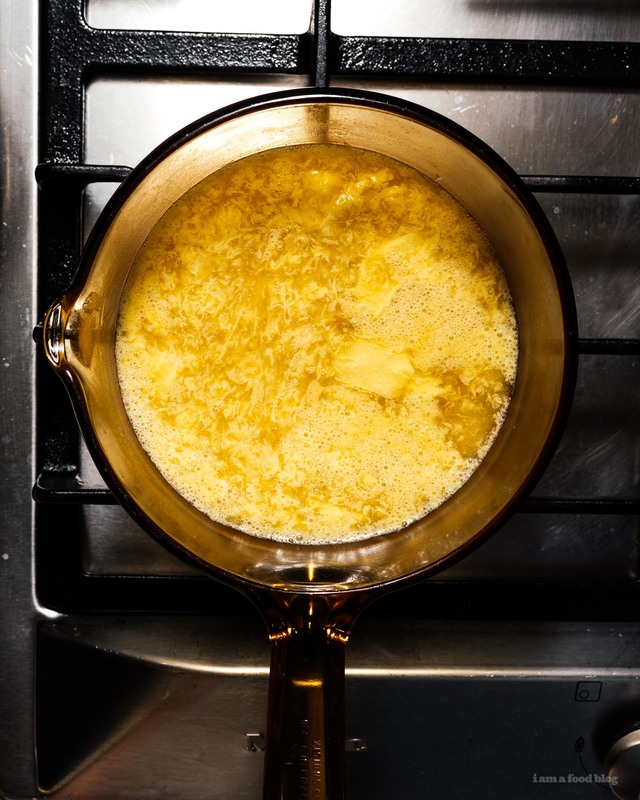 So, if you’ve ever wondered how to make egg drop soup, this post is for you. Egg drop soup is incredibly simple: seasoned chicken stock thickened up a bit with the tiniest bit of cornstarch with a beaten egg stirred in. The soy and ginger give the chicken stock a bit of warmth and heat, and the cornstarch is what makes it silky with just a touch more heft than regular broth. If you want to ensure that your eggs are a mix of small and medium sized curds, whisk a bit of cornstarch into the eggs too. It’s best if you stir the eggs into soup that is just taken off the heat. The residual heat in the soup will cook the eggs perfectly. Hello comfort city! In a pot, bring the chicken stock, soy sauce, ginger, and a pinch of white pepper to a simmer over medium heat. In a small bowl, whisk together 1 teaspoon cornstarch with 1 tablespoon water. Stir into the soup, keeping at a simmer. 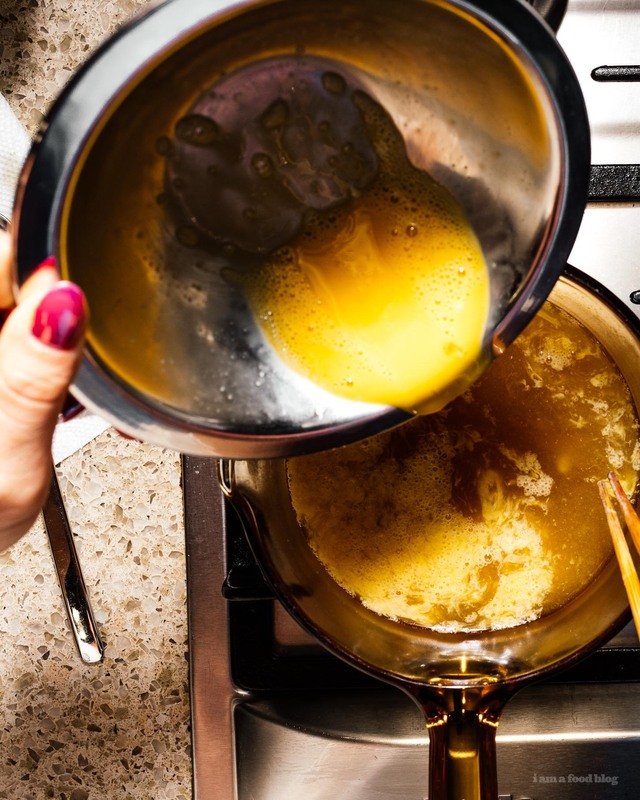 In the same small bowl that you whisked the cornstarch and water in, whisk the egg with the remaining 1/2 teaspoon of cornstarch – this will help the egg stay nice and silky. Turn off the heat, swirl the soup, then drizzle the eggs into the soup, stirring gently. Enjoy warm topped with green onions. The soup looks great, very similar to mine. What kind of noodles are you using in your soup? Are those rice noodles or cellophane noodles?